The Reeperbahn Festival in my hometown Hamburg is always a spectacular event. Drifting along the Kiez of St. Pauli, checking out various live acts in different venues and meeting lots of wonderful people like my dear colleague and friend Alice Peters-Burns (Kaleidoskop/Offbeat) is simply hard to beat. Although it’s not always easy to take a decision on what to do as the four festival days are more than packed: music-related events in the fields of photo exhibitions, literature and films compete with networking events, meetings, award ceremonies, parties and numerous concerts around the Reeperbahn. Of course, I set a focus on seeing live shows. So, here’s a short summary of what I like to share with you. 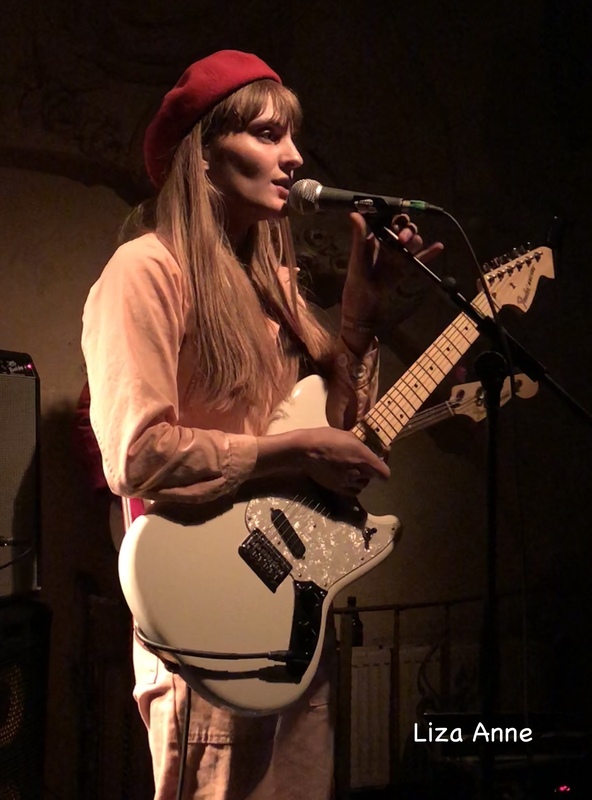 Detroit based singer-songwriter Anna Burch played in a venue next to my beloved radio station ByteFM and surprisingly she changed her bob hair into a simple short cut. With this new look she could’ve easily been mistaken for Greta Kline of Frankie Cosmos. Only Anna Burch has a different, rather cool charisma. Besides that, she presented her upbeat dreamy slacker-pop with the elegant upright posture of a dancer and did a good job. Everyone seemed happy when the minor hit-single Tea-Soaked Letter resounded by the end of the show. 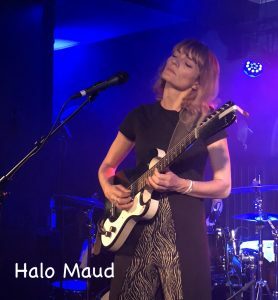 Alors mes amis, the music scene of France got some extra attention during this year’s Reeperbahn Festival with exceptional talents like Halo Maud from Paris. Her debut album Je Suis Une Île is a hazy mixture of proggy French pop and psychedelic. It really makes no difference whether Maud Nadal sings in her native tongue French or switches to English. She clearly found a voice of her own and developed a memorable style. Seeing the band live as a four piece, it was more than easy to get into it. The rhythmic power drew you into the songs while the performance created a pleasantly seamless sound experience. Fact is, the dynamic of a show slows down and people’s attention quickly drift off due to re-tuning or change of equipment, but not here: Halo Maud have put some good thoughts into their live set and kept the energy flowing from start to finish. Some other extraordinary venues were added this year to the thirteenth edition of the Reeperbahn Festival, beautiful locations with pretty difficult sound qualities: The show of Okkervil River was set up in Hamburg’s largest main church, the Michel. Up to 2500 listeners fit into this place and the reverb of this huge building is just as overwhelming. Therefore simply too much for electrified music! 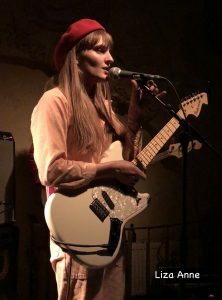 The band tried to adjust and played a stripped-down version of their songs – nevertheless the sound was awfully blurry. Only when frontman Will Sheff wandered amidst the community, singing unplugged to his battered looking acoustic guitar, my ears were delighted. I also expected Michaul Nau to play a cosy acoustic set, as his late-night performance was due in the St. Pauli church – but he and his backing band The Mighty Thread played a pretty solid and straightforward show. Compared to the famous Michel, this neighbourhood church is a modest building. Luckily the reverb here was not as harsh and suited well to the rolling organic vibe of Michael Nau. With his crazy hair and reddish full beard, the songwriter from Maryland had the looks of a classical Russian author of the 19th century. But he’s a contemporary master of profound laidback songs. Not sure if the seated situation worked best that night for Michael Nau & The Mighty Thread, but for me it was ideal sitting down at the end of a long festival day and quietly tapping my foot along to the soulful, meandering melodies. Another good thing about the Reeperbahn Festival: it works without headliners. Only a special guest was shortly revealed on Friday – the British rock band Muse. While they played music for the masses, the real pleasant surprise happened next door at the Prinzenbar. In this dimly lit, tiny little room in Baroque-style I witnessed Liza Anne, a songwriter from Nashville TN. She got on stage with a pink overall and a red beret. Her three band mates all had work clothes in red. And yes indeed, they were hard workers: they played a tight show with a great energy and really nailed it. I walked home thinking that the future of indie rock is definitely female fronted. Generally, with up to 600 shows in the mix, there’s a lot to see, but also much to miss out. However, it’s a small comfort knowing the Reeperbahn Festival will be back in 2019. Then, the musical focus is set on Australia – another thing looking forward to! Wer zeitgenössischer Unterhaltungsmusik zugeneigt ist, bekommt beim anstehenden Reeperbahn Festival so viel geboten, dass die Orientierung schwer fällt. Sandra Zettpunkt hat die Lage (Länderschwerpunkt Frankreich!) vorweg sondiert und gibt Tipps zwischen Kaschemme und Kirche. Abseits davon das Golden Glades-Tagesgeschäft – neue Veröffentlichungen aus aller Welt: Agit-Pop Veteran Ian Svenonius meldet sich zurück als Escape-ism, extrem reduziert und versponnen. Der scheue Songwriter Tony Molina liefert schillernde Popminiaturen im Westküstenstil der 60ties. Außerdem gibt es experimentelle und elektroakustische Klänge von Tunng & Pram. Diese Sendung war zu hören am Mittwoch, den 12.10.18 – 20:00-22:00 Uhr. LOVE is ON the air! Passend zum Valentinstag geht es heute bei Golden Glades um das Lieblingsthema aller Popmusik. Nun gibt es nicht nur Liebeslieder wie Sand am Meer, sie sind auch thematisch breit gestreut: berauschende Wirkung, aber auch Ernüchterung und Schmerz sorgen für große Songkunst – der wir uns heute ganz und gar hingeben wollen. 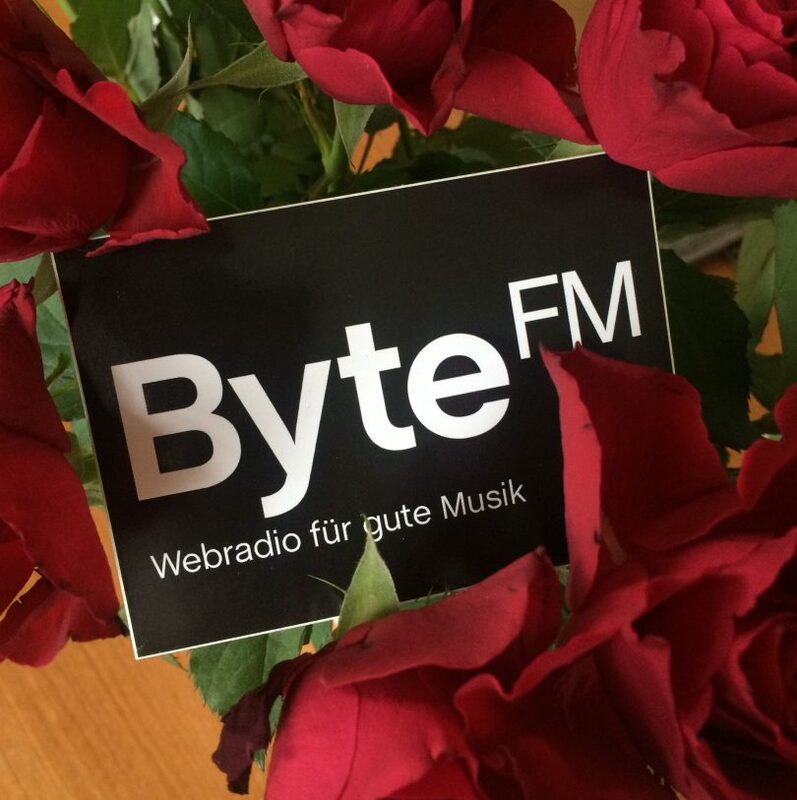 Diese Sendung war zu hören am Mittwoch, den 14.02.18 – 20:00-22:00 Uhr.